This book has been on my radar for awhile now. I barely ever read non-fiction…just not really that into it, but I’ve been pretty interested in the whole Theranos story ever since it broke. For those not familiar, Theranos was a blood-testing company that was advertising “revolutionary” blood testing equipment (basically allowing the testing of a variety of diseases and criteria using only a drop of blood). It was run by this woman who basically wanted to be the next Steve Jobs. Eventually it was all uncovered as a scam. 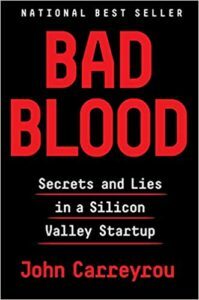 The book goes into detail about how the company started, and has a number of different accounts from former employees as to the horrible and overly secretive ways in which the company was run. I had assumed a non-fiction book would bore me pretty quickly, but it was very interesting and definitely kept me intrigued the whole way through. The only challenge that I had was trying to keep the various employees and others featured straight because there are so many of them and I kept forgetting who was who. After reading this, I think I’ll try to read at least 1 non-fiction a year. 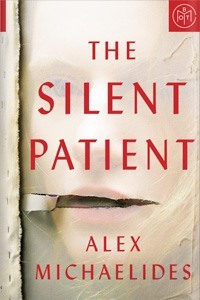 I love my thrillers, as you know, and this one was good! Theo is a psychotherapist who takes on the case of Alicia Berenson, a woman who had killed her husband but refused to speak at all after the murder. She is sent to an institution called The Grove in lieu of prision, but it remains an ongoing mystery as to why she murdered her husband, and she hasn’t spoken a word in years. Theo tries to work with her to uncover why she did what she did, while also dealing with some personal issues in his marriage. It ends with a twist that I really didn’t see coming. I finished this book super quickly! I really could not put it down. Its definitely a page turner that’ll keep you hooked. So this book got extremely high ratings, and while it wasn’t quite as “light” as I was expecting, it was amazing and will stay with me for awhile! 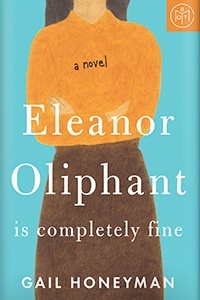 Eleanor Oliphant is a young woman who keeps to herself, is seemingly unaware of the things that regular people enjoy or how they interact, and prefers to spend her free time alone. One day she meets Raymond, her company’s IT guy, and they help save the life of an elderly man. This leads to a series of events that will make Eleanor question her life and revisit her traumatic past. I couldn’t help but compare Eleanor to myself immediately when starting this book (with the exception of the obvious personality differences and family history). We’re the same exact age, have both been at the same jobs for 9 years, and her life reminded me of when I was living on my own. I would actually picture my old apartment every time she mentioned her’s. 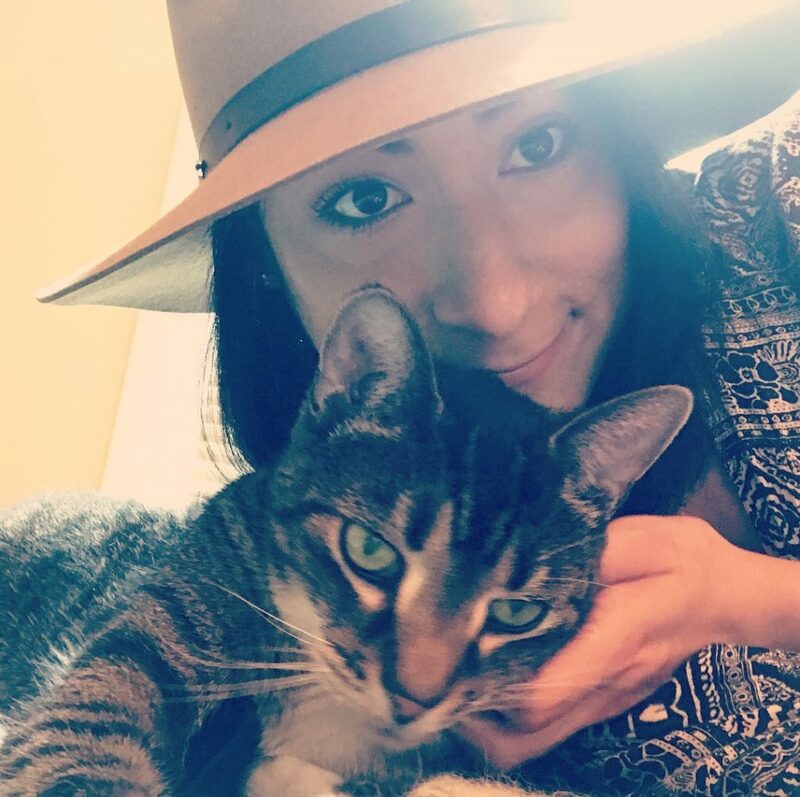 She also acquires a cat towards the end! Raymond the IT guy also reminded me a bit of Steve. While it did take me a little while to get into this book (just because Eleanor’s narration can take some getting used to), I found myself really connecting to it. It reminds me a lot of A Man Called Ove (another amazing book), just with a younger narrator. This is not a super happy story by any means, but many parts of it will make you laugh and its a heart warming story for sure. This is a Sci-Fi novel that kind of reminded me a bit of a mix between An Absolutely Remarkable Thing by Hank Green and Snowpiercer. 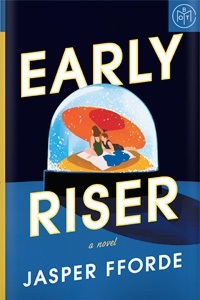 Early Rider takes place in an alternate (though not “future”) world where the winters are brutally harsh and most inhabitants hibernate for the season. The narrator, Charlie Worthing, is serving his first term on the Winter Consul, an agency that stays awake during the winter to watch over the hibernators. Its a very risky job that involves dealing with a number of perils including the cannibalistic Nightwalkers (people who have turned to zombies due to hibernation mishaps), Villians, Winterfolk, and of course the Winter itself. Also in the picture is Hibertech, a shady organization that may be up to no good, and the spreading of a viral dream that may be killing people off. When Charlie begins to experience the viral dream as well and unravel it’s mysteries, things start to get interesting! Overall, I liked this book and the premise (which is why I chose it). I do think too much time was devoted to world building, which I guess is expected given the subject matter, but I feel like a lot of extra info and backstory might not have been completely vital to the main plot. 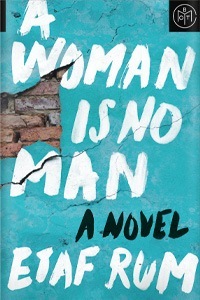 It took until about the middle of the book to really pick up with the plot but once it got there I did really enjoy it. The ending of the story was very fast paced and interesting, just wish it didn’t take so long to get there! Previous Post: « Meet Misty!